Blockchain startup Blockstack has released a decentralized browser aimed at making apps more easily accessible. In a way, the release is a kind of Netscape for the decentralized internet, running apps on a plethora of blockchains. 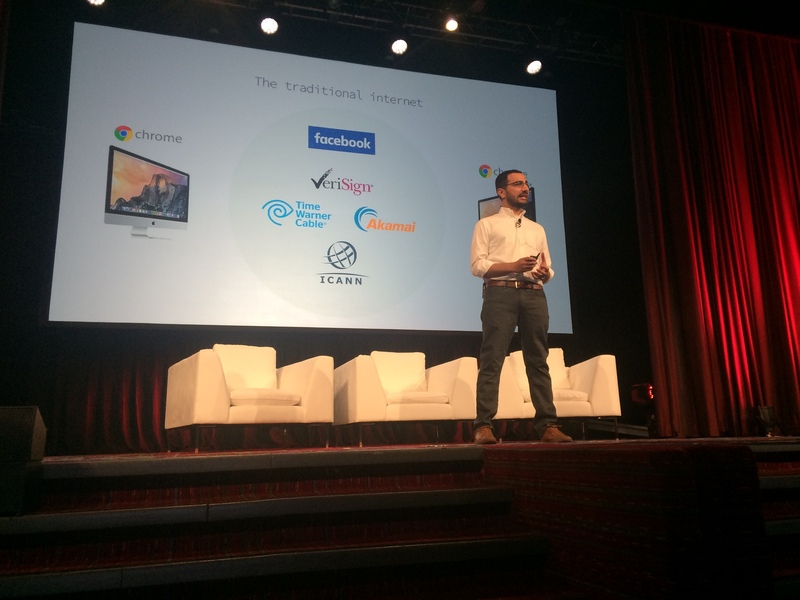 But news of the browser’s release, revealed today at CoinDesk’s Consensus 2017 blockchain conference in New York, represents just a piece of the progress made by the venture funded startup. Blockstack, the New York-based firm that has raised over $5m to date, is expected to release a full developer stack aimed at letting coders build apps in much the same way that Apple facilitates its own app development. How Blockstack plans to power that ecosystem is perhaps just as intriguing. The startup is revealing plans for what might be considered a kind of initial coin offering, or ICO, using its own technology that sits on top of several other blockchains. Blockstack co-founder Ryan Shea positioned the series of announcements as the symbolic beginning of a new internet as decentralized as the blockchains it supports, including bitcoin, ethereum and zcash. In many ways, the browser is the core of Blockstack’s suite of decentralized internet tools. Built over the course of more than two years, the browser was built from the ground up with developers in mind. As part of an industry wide effort to make blockchain applications that are actually serving real problems Blockstack aimed to reduce the complexity of building with blockchain. To get there, the startup hid the more complicated aspects of the technology behind a sleek user interface. Part dashboard, part app store, the browser is designed to give users a seamless browsing experience by granting access to websites via a single identity login that — unlike profiles created on the traditional internet — they actually own. Founded in 2013 as blockchain identity startup Onename, the firm has raised capital from a number of major players, including Union Square Ventures, Angel List founder Naval Ravikant, and Digital Currency Group. The startup’s past success in registering more than 70k domains on its decentralized internet has laid the foundation for what could end up being significant developer interest. And while the “entire system is free to open,” said Shea, it is designed to rely on scarce resources with the potential to accumulate value in their own right. After initially being built using the Namecoin blockchain, the company switched to bitcoin and now supports ethereum and zcash as well. But in order to create a fully integrated browser experience, Blockstack leverages what it calls a Virtualchain that sits above the other blockchains. Which is where the yet-to-be-named Blockstack token, revealed today, is likely to come into play. Similar to how domains are today registered for a fee on the internet, the new token will be used to file the registration fees paid directly to the network. Though technical details about the distribution model and other aspects of the token have yet to be settled, Ali and Shea emphasized this is not an ethereum-based ICO, but rather the sale of tokens created by their own technology. The Blockstack token itself only grants access to the digital property associated with it and, for the time being, the plan is that the tokens will be destroyed when they are converted into a digital property, such as a domain name. The founders say the tokens will not function like ethereum’s gas, which gives the user access to the network’s computing resources. According to Shea, the token needed to be separate from the systems they support in the event of any major changes, like the recent ethereum hard fork. The approach also helps the startup avoid some of the scaling difficulties experienced by the bitcoin network and others.